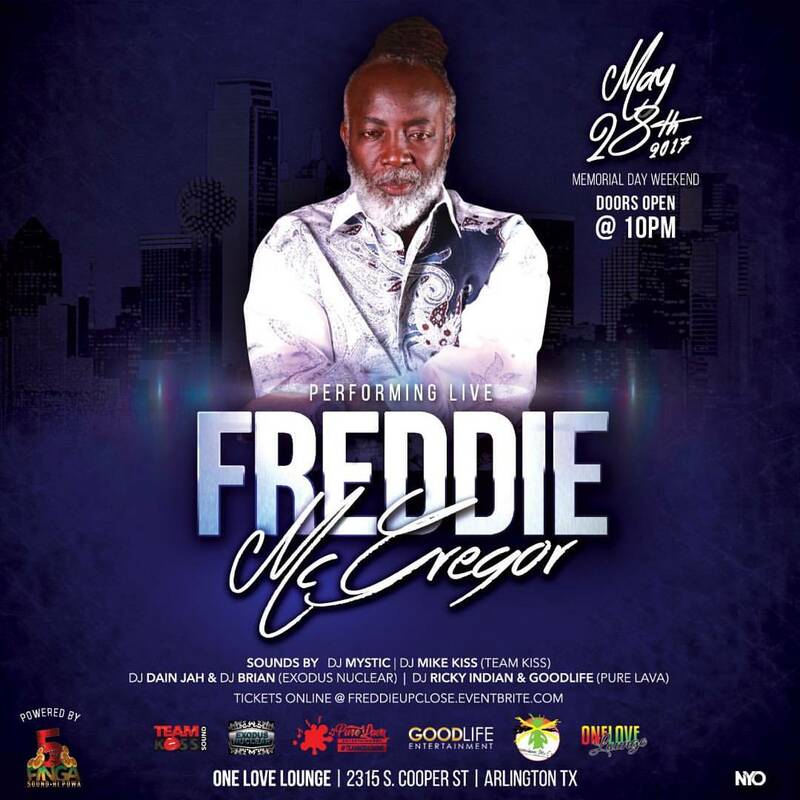 Internationally acclaimed, Grammy-nominated singer, Freddie McGregor, is giving his fans and supporters in Arlington, Texas the opportunity to catch him Up Close & Personal. The veteran reggae artist will perform live on Sunday May 28th at the One Love Lounge, located at 2315 South Cooper St. (Arlington, TX). Additional music will be provided by: DJ Mystic, DJ Mike Kiss (Team Kiss), DJ DainJah & DJ Brian (Exodus Nuclear) and DJ Ricky Indian & Goodlife (Pure Lava). This event is powered by: 5 Finga Sound. This entry was posted in Reggae and tagged Concert, Freddie McGregor, Reggae by Maria Jackson Magazine. Bookmark the permalink.